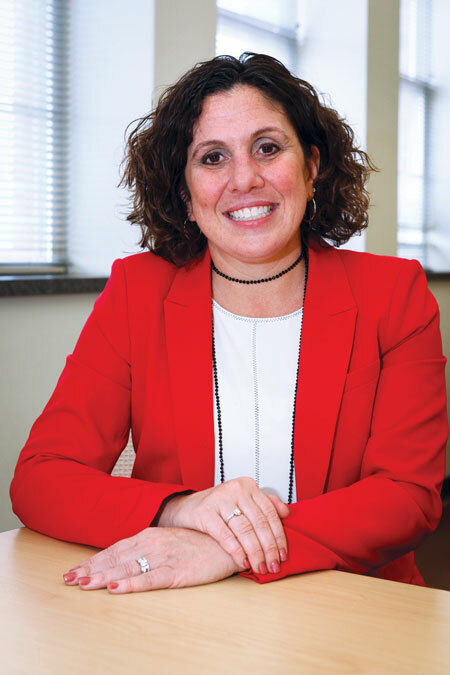 Anyone who thinks of public education as impersonal and excessively bureaucratic probably hasn’t met Amy Evans, director of special education programs for the Syracuse City School District. With 22 years of education experience, and an amiable, steady demeanor, she approaches her role serving the city’s special education students as if she were born to do it. Evans, 44, worked as a special education teacher, a vice principal, a principal, and SCSD’s assistant director of special education before accepting her current position last summer. She earned her master’s degree in special education with a concentration in learning disabilities from Syracuse University. She has three children and lives in Cicero. Evans says much has changed about special education since she started teaching. Specifically, Evans cites organizations such as Family-Student Support services, counseling services offered through Arise, Brownell Center for Behavioral Health, St. Joseph’s Hospital Health Center, and the student intervention program Promise Zone for helping to establish key support partnerships with the SCSD and families. “Parents have always been great advocates for their children, but with all these supports in the community, we’ve brought it to another level,” says Evans. As parents have become more involved in advocating for their children, home-school partnerships have improved—to the benefit of students. “The home-school partnership is so crucial. We only have our students for six to seven hours a day. We look to partner with families because we don’t want the goals to just be ‘school-day goals.’ We want them to really be lifelong goals. Overseeing the distribution of services in more than 30 different school buildings is no small task. But Evans tackles the challenge head-on. When asked how teachers have adjusted to the increasing demands of individualized education plans, Evans admits it’s not an easy responsibility to shoulder. Supporting teachers in their work is more important than ever. Evans says while adjusting to the Common Core standards and changes in teacher evaluations has been challenging, the process improved accountability while re-emphasizing the need for educators to focus on what is most important. Overall, Evans says there is plenty for local special education teachers and administrators to be proud of, without being complacent. On the national front, a new administration could mean changes from the Department of Education. But Evans is confident that educators will remain committed to the needs of their students, above all else.